Welcome to the Mobalytics Predictive Tier List for League of Legends for Patch 8.19! Here are the Patch 8.19 notes for reference. 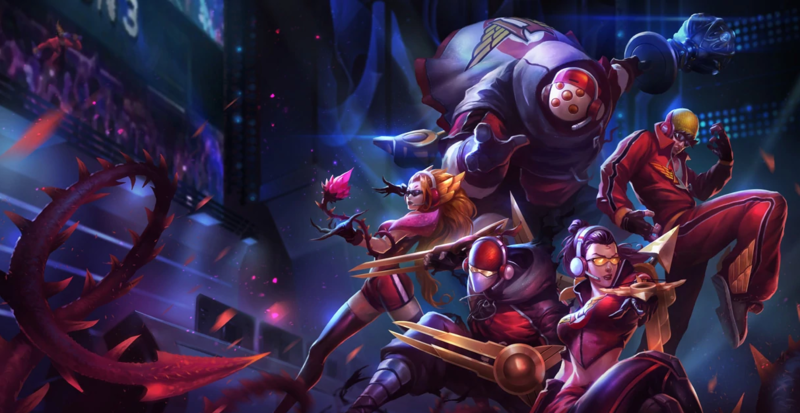 The 2019 Worlds Patch is here! “My pick of the week is Lee Sin because of just how dominant he can be when he is played optimally and ahead. There are several players who are having success with him in higher elo solo queue with a Dark Harvest build – I’ve personally tried it and felt it was really strong. “Diana is much stronger than she has shown, most players have been building her suboptimally (typically the Nashors, Zhonya’s build). I recommend trying out Spellbinder → Oblivion Orb → Deathcap. After Deathcap it’s pretty situational – you can complete the Orb into Morello’s, build Zhonya’s, Nashor’s if you want to split push, or Void Staff to help against MR heavy teams. “Waveclear, gank assist, and burst are all traits that you want to have for a Bot carry and Heimer has them in spades. The typical problem for champions that have these strengths is that they often lack consistent damage to win team fights and take down objectives, however, Heimer can avoid this problem due to his turrets. 1) Not the best scaling in comparison to the others, because then you can’t match your opponent in a side lane. 2) Getting set behind early. Top laners can get completely screwed over by jungle pressure or bad plays early game, and be rendered useless for the entire game after that. This is why all top laners need to have good gank escape and good gank assist (think Camille hookshot or Jax counterstrike, these abilities are versatile and can do both extremely well)”. “Currently, Bot carry and Support have the least amount of individual strength compared to other roles. Although they have a few great picks, they do not have as many champions that are strong enough on their own to carry a game without outside help or set up. As always, we welcome all discussion and feedback. If you have any questions about picks that we didn’t expand on or would like to let us know how you feel about Patch 8.19 and our predictions in general, join us in our Discord! If you’re wondering how we make our tier list, check out our video explanation. Can you go into some detail as to what makes Talon S tier for high elo and not even make it on the map for Low elo? Thanks, love the content! Why is Xin Zhao no longer in the lower-elo tier list? What made him still viable in higher elo but no in lower elo? Does he have better matchups in higher elo? Is there anything about Olaf? I actually just picked him up and out of 12 games so far I’ve won 11 and seems to be making climbing pretty easy right now for low elo. Adding to this if you guys would be so kind to comment. Since I started playing him a couple days before worlds started is it a good assumption that he is viable since pros are using him? I was actually kind of happy to see him make an appearance even though he hasn’t won yet. Hey I was wondering about your thoughts on Aatrox. Any insight? Thank you! Well try another champ or check if you are not making mistakes or not focused giving the team help to close the game. Mid needs to give the other lanes help to increase your lead and your teammates lead. What makes Garen and Jax fall from S tier to off the list in the transition from Low to High elo? In the opposite situation, why does Jax goes from A to S tier in the top lane? Those transitions (especially the first two) feel rather weird without further explanation. Why Malzahar support isn’t a thing anymore? I will probably spam him to test it out. I don’t think his nerfs were enough to make him disappear. I think it was more like a social mob effect nerf than the nerf itself.